VITALFOAM MEMORY FOAM 6lb FIRM MATTRESSES - Firmer 6 lb density visco-elastic foam as compared to our Memory and Memory Lite Mattress. Made of same revolutionary technology as our Memory Pillows. Our Mattress provides equal distribution, superior pressure point relief and cervical alignment for optimum sleeping comfort. The visco-elastic foam is hypoallergenic, antibacterial, antifungal and ozone resistant. It reacts to the temperature of the body to form to the head, neck and body, giving proper support while maintaining softness. Price includes a zippered terry cloth cover. Uncovered pads are also available. 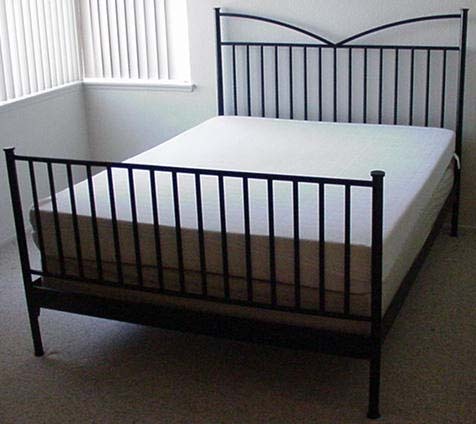 Replacement 3" Mattress Pad and 8" Mattress zippered terry cloth covers can also be purchased. Order your memory foam samples here. Our Memory 6lb mattress pads are 3" of solid 100% memory 6lb /15 ILD visco-elastic foam. Our Memory Firm 6lb Foam Mattress consists of a 3" memory foam topper and a 5" foam base bonded together in a zippered allergy free cover. The mattress foam foundation is a 5" thick piece of 2.1 high density poly-foam. We can make custom mattress sizes and thicknesses! !